Got a video production project coming? You need the best background music for video - here's how to match the perfect music to your project for awesome results. Don’t be one of the thousands of video makers who leaves the thought of music for last. Background music for video is an important part of your message. It drives the video forward and helps bring out emotion in the viewer. It can be difficult to pick just the right background music for your video. You want to make sure you think through a variety of questions and include the music in the initial planning stages. Music is so much more than an afterthought. Here are some tips for helping you pick the best background music for your video. You want to include background music ideas in the planning stage of your video production. This is especially important when you’re creating a video for a client. You don’t want the background music for the video to become a sticking point. As you plan your video, think about what pace you’re using and what emotions you want to bring out in the viewer. This should help you with coming up with music ideas in the beginning stages. Have your client give some input if they can, because clients are always happier with something they believe was their idea. If you choose the music yourself, be sure to have the client sign-off before editing. Whatever you do, don’t go into editing with no idea about music. You could find yourself wishing you had tweaked certain things during shooting to make room for specific music. Worse, you could finish and have your client ask for edits that include music changes, putting you back at square one. Decisions are made emotionally, not logically. No matter what the focus of your video is, you have something you want the viewer to do. Perhaps they should subscribe to your channel, make a purchase, or follow a celebrity or brand. Regardless, that decision will be made with their emotions. And background music for video impacts emotions in a powerful way. Music has an ability to transcend language, culture, and nationality. Music is far more powerful than language at arousing emotions and feelings. Using music, you can build expectation, meet needs, and create longing. Music is part of almost every celebration and event in every culture. Use music wisely in your project, and create the emotions you desire your viewer to have. When you do, you can dramatically increase their likelihood of taking the desired actions. The pacing of your video will have a big impact on your music selection. Obviously, you don’t want a slow music selection if you’re trying to create excitement or if you have fast-paced scene changes. There’s more to pacing a video than simple speed, however. Consider how cuts can be used to create tension, drive energy, and allow for emotional breaks. No one can take a hard-driving emotional pace for more than a few minutes at a time. Allowing some breaks and cuts to slower or more humorous scenes and music can give an emotional break, and then the music can transition back to the excitement if needed. Don’t feel like you’re tied to the whole song, either. If you just want a specific portion, take it! You can loop it, use it only at the beginning or end, or use pieces throughout your video. There are several considerations for music when you think about a professionally made video. First, consider your audience. Is your video aimed at older viewers? If so, a hard rap track or questionable language is probably out. You want to make sure the genre and words of your background music are appropriate for the age and temperament of the audience. If you’re creating a video for a brand image that’s counter-cultural or rebellious, you’ll want that in the music. If not, avoid it. Secondly, beware of tracks that use digitized instruments or sound effects. You want to ensure that your video sounds well done, not corny or kitschy. Generally, get music or sound effects made by the real instrument for best results. Third, consider the music tastes of the client. It can be very difficult to convince a client that their music tastes are suspect, so try to find a workable compromise. As mentioned earlier, this should be done early in the process to avoid headaches and delays during editing. Finally, consider how the music ends, both within your video and at the end. Sometimes an abrupt cutoff is best, and other times a fadeout is more appropriate. Make sure it sounds good and doesn’t interrupt the emotion, pacing, and message that you’re going for. Royalty-free music doesn’t mean it’s completely free of charge, but it does mean that music and sounds can be obtained affordably, without having to pay over and over. Royalty-free music helps you avoid ‘per use’, ‘per project’, or ‘per period’ licenses where you have to pay licensing fees repeatedly. With royalty-free music, you can use it as long as you want, and as many times as you want, within the limits of the license. When purchasing music for your video, make sure you know what you’re getting. You may see ‘production music’ available, but this often require multiple payments. Read the fine print carefully so you know the financial obligations. When you use music on YouTube, you can avoid having your video flagged or taken down. YouTube is aggressive about monitoring music in videos and responding to take-down requests, so don’t expect to hide. 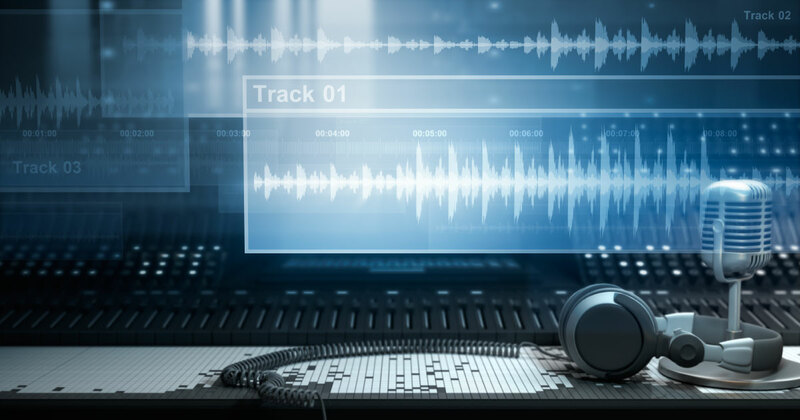 When you do things the right way with your music selections, you can stay within your video budget, have high-quality music, and avoid any costly legal challenges. Picking just the right background music for your video projects doesn’t have to be a huge headache. By following these simple tips regarding background music for video, you can have a fun, pain-free music selection and editing process that will give you amazing results.